Scientists said Monday they had discovered immune cells that can fight all known flu viruses in what was hailed as an "extraordinary breakthrough" that could lead to a universal, one-shot vaccine against the killer disease. Influenza epidemics, largely seasonal, kill hundreds of thousands of people each year, according to the World Health Organization. Due to its mutating strains, vaccine formulas must be regularly updated and only offer limited protection currently. Researchers in Australia said that "killer T cells"—found in over half the world's population—had shown in testing to be effective in fighting all common flu varieties. This means the cells could potentially be used to develop an all-encompassing flu shot that did not need to be changed annually, and even be effective in people who don't naturally possess them. "Influenza viruses continuously mutate to evade recognition by our immune system, and they are vastly diverse, making it nearly impossible to predict and vaccinate against the strain that will cause the next influenza pandemic," said Marios Koutsakos, a researcher at the University of Melbourne's Doherty Institute. T cells are a type of white blood cell that roams the body scanning for abnormalities and infections. They are essential for human immunity against a host of invading bacteria and viruses. So-called "killer" T cells are unique in that they can directly target and kill other infected cells. Koutsakos and his colleagues used mass spectrometry—a scanning technique that helps separate molecules based on their mass—to identify parts of the virus that are shared across all flu strains, and realised that killer T cells could effectively fight variations of influenza A, B and C.
Flu is especially dangerous for elderly people, children and those with compromised immune systems, as well as certain ethnic groups who never developed immune responses to the disease. 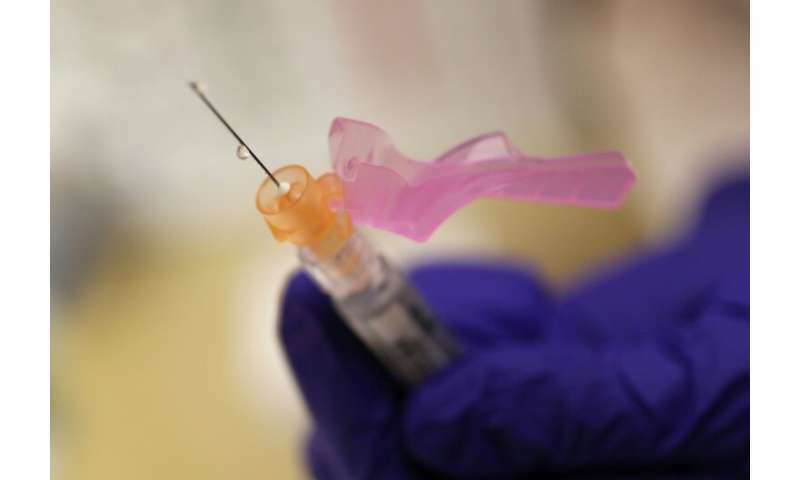 The team behind the research has patented their discovery, and researchers said they hoped it would enable them to develop a universal influenza vaccine "to reduce the impact of pandemic and seasonal influenza around the world". 100 years after influenza pandemic, why should I get a flu shot?